PRESIDENT. He/she shall be the chief executive officer of the Association; preside at all meetings of the board of directors and the Association; issue the call for regular meetings and special meetings of the board of directors and the Association; appoint the standing and special committees of the Association and cooperate with chairpersons to effect regular functioning and reporting of such committees; see that regular elections are duly called, noticed and held. During membership meetings, President has no vote except to break a tie vote. The President is empowered to sign all documents requiring official signature, and any other required duties; and serves as a delegate to the Board of Managers of the Florida State Beekeepers Association. IMMEDIATE PAST PRESIDENT. He/she and the other past presidents shall officially greet members and their guests at Association meetings. He/she will serve on the Membership and Hospitality Committee, and will serve as needed to fill emergency caused vacancies. VICE PRESIDENTS. If the president is unable to perform the duties of his/her office for any reason, the vice president next in rank shall occupy his/her position and perform his/her duties with the same authority as the president. Each vice president shall, under the direction of the president, oversee the functioning of such committees of the Association as the president shall designate. 1ST VICE PRESIDENT FOR MEMBERSHIP AND HOSPITALITY. This officer shall chair the membership and the public relations committees. Other responsibilities: Development of a growth program designed for the Association and presented for board approval. External communication to include meeting announcements in local news outlets and calendars of events. Encouragement at Association meetings to bring in new members. Ensure implementation of proper recruitment and retention procedures. Report to the board of directors on ways to reduce the loss of members. Coordinate hospitality during Association meetings. Coordination with other Association committees in fulfilling these responsibilities. 2ND VICE PRESIDENT FOR EDUCATION AND OUTREACH. This officer shall be the chairperson of the education committee and the youth committee. Other responsibilities: Coordinate speakers for meetings and presentation to the board of directors for approval. Management of outreach efforts, for example booth at county fairs and other community events. Planning of introduction to beekeeping programs for members new to beekeeping. Liaison with County extension offices and local 4-H programs. Report to board of directors on ways to promote bee education in the community. Coordination with other committees in fulfilling these responsibilities. SECRETARY. He/she shall be under the supervision and direction of the president and the board of directors and shall act as the liaison officer between the Association and chosen bank used to hold Association funds. He/she shall have custody and keep and maintain general records of the Association, including records of minutes of Association and board meetings; attendance; committee appointments; elections; member information, and a current list of addresses and telephone numbers of members. TREASURER. He/she shall: Receive all monies, from the secretary and otherwise, and deposit the same in a bank recommended by the finance committee and approved by the board of directors; Make payments of Association obligations only on authority given by the board of directors. All checks and vouchers shall be signed by the treasurer and countersigned by the president. Have custody and keep and maintain general records of Association receipts and disbursements; Prepare and submit monthly financial reports to the board of directors and members of the Association. COMPENSATION. No officer shall receive any compensation for any service rendered to the Association in his/her official capacity with the exception of the secretary, whose compensation, if any, shall be fixed by the board of directors for items such as postage, etc. ELECTIONS. The officers of the Association, excluding the immediate past president, shall be elected as follows: After the inaugural year, elections of Board of Directors will be held at the November meeting. Nominations for Board of Director candidates will be taken from the membership at least (30) days prior to the elections. All officers shall be elected annually and shall take office on January 1st or meeting closest following that date and shall hold office for one year from that date, or until their successors shall have been elected and qualified. NOMINATION MEETING. A nomination meeting shall be held each year, with the date and place of such meeting to be determined by the board of directors and notice mailed (via postal or electronic means) to each member at least fourteen (14) calendar days prior to the date of the meeting. The president shall appoint a nominating committee which shall submit names of candidates for officers at the nomination meeting. At this meeting, nominations for all offices to be filled in the succeeding year may also be made from the floor. If in the interim between the nomination and election meetings any nominee is unable for any reason to serve in the office to which he/she was nominated and for which office there was no other nominee, the nominating committee shall submit, at the election meeting, names of additional nominees for that office. ELECTION MEETING. An election meeting shall be held no later than December 1 of each year, at a time and place determined by the board of directors, and fourteen (14) calendar days prior written notice shall be given to each member of the Association by the secretary, by mail (postal or electronic) or personal delivery. Such notice shall include the names of all nominees approved at the preceding nomination meeting. No nominations may be made from the floor at the election. All elections shall be by ballot by those present and qualified to vote. A plurality vote shall be necessary to elect. REPLACEMENT OF OFFICERS-ELECT. In the event any officer-elect, before his/her term of office commences, is unable or refuses for any reason to serve therein, the president may call a special nomination and election meeting to elect a replacement for such officer elect. Fourteen (14) calendar days prior notice of such meeting, setting forth the purpose, time and place shall be given to each member, by regular or electronic mail or personal delivery. The election shall be held immediately after nominations have been closed and a plurality vote shall be necessary for election. STANDING COMMITTEES. The President shall appoint qualified members to serve on the following committees during his/her tenure. Committee membership shall be open to all members in good standing who have an interest in saving honey bees and native bees. Members need not be beekeepers to serve. ANNUAL DUES. ANNUAL DUES. Each member of TCBA shall pay the following indicated regular annual dues, and said dues shall be paid in advance at such times as the board of directors shall determine: Membership: $20.00. 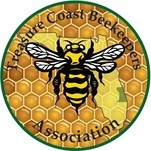 If an individual wishes to include membership with the Florida State Beekeepers Association (FSBA) along with their TCBA membership, they may submit $30 to TCBA upon payment of dues. The club will then donate $5 of its membership fee to FSBA, thereby making the dues of TCBA $15 instead of $20 by choosing to join FSBA. The cost of active membership will be the same for a single person or family. However, each active membership will be entitled to only one vote. Commercial members of the TCBA shall not receive membership in the FSBA. However, commercial members shall be entitled to receiving a business card sized advertisement and an active link on the TCBA website. The active link must connect to a legitimate website that must receive TCBA Board approval. 2. Introduction of new members and guests. 7. Reports of the standing committees. 8. Report of special committees. 9. Election and installation of officers. SPECIAL MEETINGS. Special meetings of the Association may be called by the president, in his/her discretion, and shall be called by the president when requested by the board of directors, at a time and place determined by the person or body requesting the same. Notice of special meetings setting forth the purpose, time and place shall be given to each member of the Association, by mail or personal delivery, at least ten (10) days prior to the date thereof. QUORUM. The presence of 50% of the board members shall be necessary for a quorum at any meeting of the board of directors. The presence of 33% of membership in good standing shall be necessary for a quorum at any meeting of the Association. Except as otherwise specifically provided, the act of a majority of the members present at any meeting shall be sufficient for any action and decision of the entire Association. FINANCES. All money or property of the Association or which may be acquired by the Association shall be under the control and direction of the Board of Directors who shall require an adequate system of collecting, dispersing and accounting of funds. No part of the net earnings of the Association shall inure to the benefit of, or be distributable to its members, officers, or other private persons except that the Association shall be authorized and empowered to pay reasonable compensation for services rendered and to make payments and distributions in furtherance of the purposes set forth in Article 3 of the Constitution.